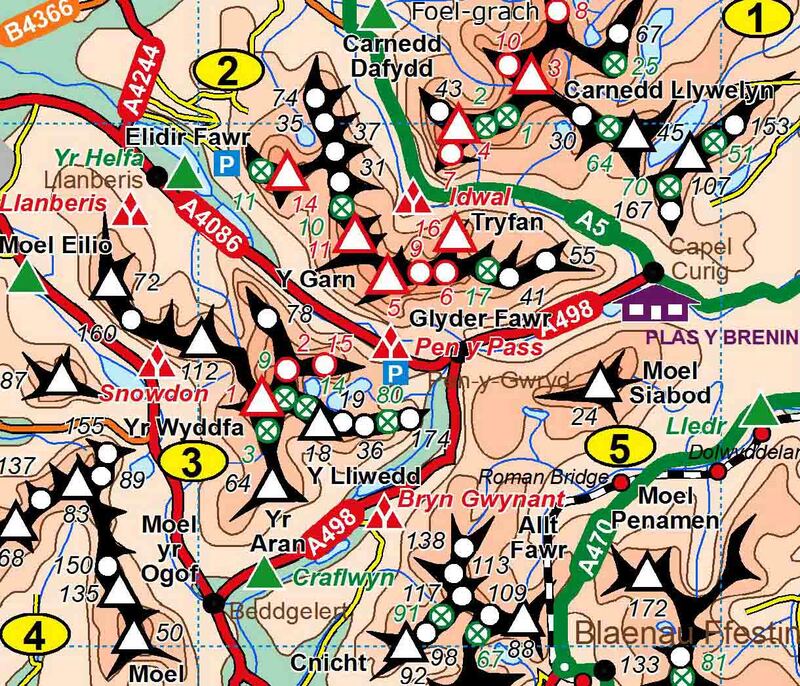 2000 PLUS WALES, is a comprehensive, full-colour map of all Welsh summits over 2000ft based on information from The Mountains of England and Wales - Volume 1 Wales by John and Anne Nuttall ( www.nuttalls.com ), clearly showing the location of all 254 summits. Designed by a hillwalker, for hillwalkers, it is an invaluable tool for outdoor enthusiasts to plan and record expeditions, providing an easy-to-use visual record of summits climbed and those still to conquer. This first edition (and companion to 2000 PLUS ENGLAND also by the same author), depicts all 190 summits in Wales over 2000ft, comprising of 93 main peaks and 97 subsidiary tops. Also included for the enthusiast is a further 91 minor summits over 2000ft but with insufficient re-ascent to merit similar status. Mountain profiles are interspersed between a comprehensive list of all summits, providing an instantly recognisable silhouette of the mountain ranges and their relative positions. The list also includes heights and a symbol to capture summits attained. Layer tints highlight the relief of the rugged mountain landscape of Wales and the geographical distribution of all summits. All this within a glossy protective card cover. Further information includes road and rail routes; hostels; coverage of relevant OS 1/50,000 Landranger maps; a simple co-ordinate reference system to relate the summits to the map and vice versa. Finally, to promote safety in the hills, information about Mountain Rescue England and Wales (MREW) can be found on the inside cover. Actual Size N.B. 2000 PLUS WALES was published using Offset Litho printing technology. However, to facilitate faster Internet access, the resolution of the above image is lower than the final published article. See Details for clearer image. This first edition, published in 2013 (see left) adopts the same look and feel of 3000 PLUS - The Original Munro Map and provides details of all 190 summits over 2000 feet in England. Also included are 91 summits without sufficient reascent to be included in the original list. Mountain profiles within a comprehensive list of summits which provide an instantly recognisable silhouette of the mountain ranges and their relative positions. See Details for clearer image. Layer colouring to highlight the relief of Wales’ rugged mountain landscape and the geographical distribution of summits. Laminated protective card cover incorporating information on Mountain Rescue England and Wales (MREW).